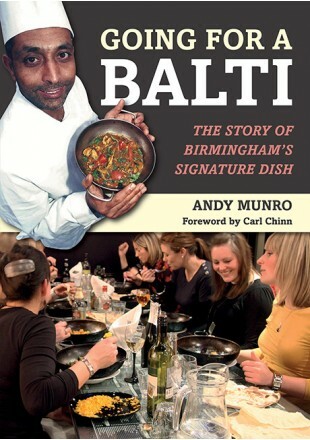 The Balti was created in Birmingham but in many cases has become a generic term for curry or curry flavoured products such as Balti pies, Balti peanuts etc. However, the genuine article has certain characteristics that has made it so popular in the City where it was created by the local Pakistani Brummie population. So what is a genuine Balti? It’s a fast cooked dish, over a high flame using vegetable oil not ghee to give it a cleaner, lighter taste. Some restaurant sauce is added but extra spices are tossed in during the fast cooking process and for non vegetarian baltis, meat is off the bone because it’s a fast cooking process. 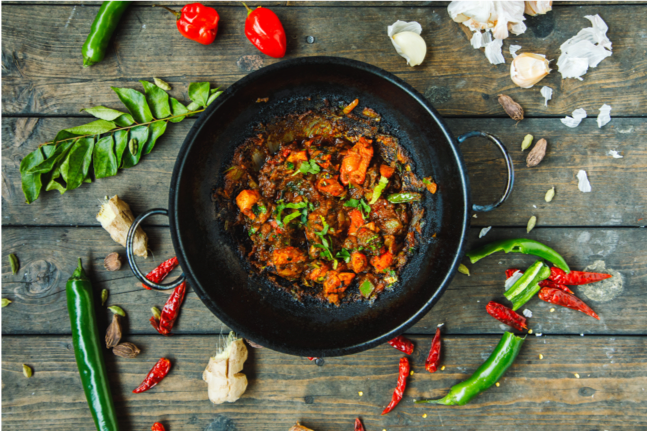 However, most important of all, it’s served up in the same dish that it’s been cooked in … a customised thin pressed steel, flat bottomed and two handled cooking pan … the iconic balti bowl. The more this is used, the more layers of flavour that are built up and serving in this way retains all the flavours released during the cooking.